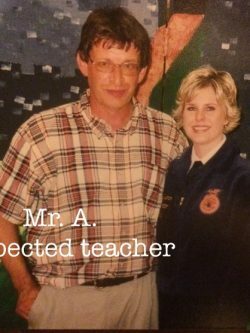 Through my middle and high-school years I had an awesome agriculture instructor and FFA advisor, fondly known as, Mr. A. He had the unique ability to bring out the best in just about every student, particularly the shiest or seemingly outcast students. In his classroom, everyone had a place, and many of the students weren’t from agricultural backgrounds, but they found a home within his program, because of how he made them feel. He gave every student their own nickname. When we learned about different types of weeds and plants, every student was named after a particular plant that somehow reflected one of their interests or a piece of their personality, and it was their responsibility to learn as much as they could about that plant and share that knowledge with others in the class. I was named Miss Lambs Quarters (a weed) because of my affinity towards lambs; I was raising and showing them at the fair (thanks to the loan that Mr. A. had borrowed me to buy my first lamb!). There are very few specific lessons I remember from my years in public school, and most of the lessons that I do distinctly remember come from that Ag Classroom. This idea can be applied to any scenario in life, including business. Some people will say that business is business, to stick to the facts, numbers and bottom-line. But before you can have those discussions about strategies and numbers, there needs to be some type of trust established between the service provider and customer. In today’s digital world, as business owners we can work on establishing that trust with potential future customers, strategic partners and peers by sharing what we know, because in today’s business world, the act of providing access to knowledge and resources is an act of caring. This shows that you care enough about your peers and prospective customers to provide them access to knowledge and resources that can help them. 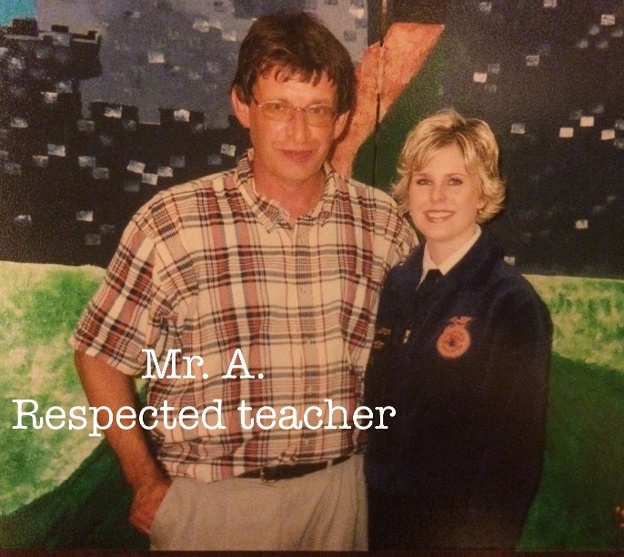 In Mr. A’s classroom he showed students that he cared by taking time to get to know their interests and give them nicknames, which then opened the door to education. As a business owner, you already have a good idea about the challenges facing your customers, and you know what their questions are. You can show them that you care by answering those questions and sharing the information through easily accessible formats online. Some customers will use that knowledge to fulfill a task or project on their own. Some may find it useful to get something started, and may then need to engage with your services. While others may read the knowledge you share and decide it’s best to go straight to hiring the professionals to do the work. That fact that you are the source sharing the knowledge can establish trust and respect in the minds of peers and prospective customers. You want to be their trusted teacher. A person wanting to learn how to blog could download this awesome content development guide! Find out what your target audience most needs and help them with that. Mr. A. won the hearts of students because he cared. In business, sharing knowledge is caring, and those who care become respected as teachers. Teach what you know! If you think this information would be helpful to a business owner friend, because most of the people who could use this advice are likely too busy running the day-to-day of their business, do them a favor and click share.